The Law Offices of David Zimmerman, in Sterling Heights, Michigan, has successfully won social security disability and workers' compensation benefits for people with asthma and chronic obstructive lung disease. These are among the most common respiratory diseases affecting a worker's ability to function at work and can be so severe that working becomes virtually impossible. Asthma is a disorder that causes the airways of the lungs to swell and narrow, leading to wheezing, shortness of breath, chest tightness, and coughing. Common asthma triggers include pet hair or dander, dust, changes in the weather, air or food borne chemicals, exercise, mold, tobacco smoke, and other factors. Chronic obstructive pulmonary disease (COPD) is an umbrella term for people with chronic bronchitis, emphysema, or both. With COPD the airflow to the lungs is restricted (obstructed). COPD is usually caused by smoking. Symptoms include cough and breathlessness. The disease is recoverable even with a history of smoking. Medical research has documented that smoking damages the respiratory system's natural filtration defenses. Industrial air pollution, dust, and chemicals can intensify the damage. This is known as the "synergistic effect" in medical circles and our attorneys have applied this condition in court arguments to win disability benefits for our clients. Call us for a free, no-obligation review of your case now if you have a disabling lung condition that's been aggravated by your on-the-job environment. We're experienced fighters to win the benefits that you deserve. If you have been diagnosed with RSD due to a personal injury or malpractice, you'll need a lawyer who has appropriate RSD experience and understands how adversely it affects day-to-day living. The Law Offices of David Zimmerman may be able to obtain a workers' compensation of social security settlement for you. Unfortunately, there is no simple test to confirm the diagnosis of RSD and it's highly important to quickly diagnose the disease. Early detection and treatment leads to better results as indicated by many medical studies that are available. For RSD client pain, some days are more tolerable than others. RSD pain intensity fluctuates, but at its worst it has been compared to the pain of a ruptured disc, or of childbirth. 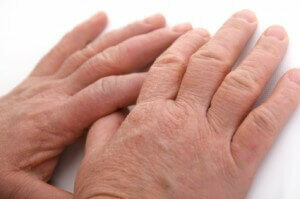 Some of our clients have told us they would amputate their affected limb if the pain would go away. Sadly, amputation only increases the pain from RSD. Many attorneys don't realize is that RSD is much severe that other injuries, so it's important to have an attorney who understands CRPS/RSD. The majority of our RSD clients end up on permanent and total disability with enormous lifetime medical bills. The financial and social effects of RSD syndrome can be very. A marriage, parenting ability, and friendships may be hard to maintain while dealing with severe chronic pain that many others don't understanding. The Law Office of David Zimmerman has a wealth of experience helping RSD sufferers, so we understand chronic pain related issues hampering people in their lives. We know of the best ways to communicate your pain to the parties involved in your case - insurance adjusters, defense lawyers and juries. Call us now for a free, no-obligation review of your case.